"Zonad," about an alien visitor who charms the pants off a small Irish village, comes from the writing-directing team of John and Kieran Carney. For fans of their previous effort, "Once," be warned: this film finds them going in a very different direction. Their latest effort is peppered with crude, sexually-explicit language and lowbrow bathroom humor, but man, is it funny. The film finds the Cassidy family of Ballymoran coming home from a night of meteor-watching in the town square, only to find a bloated man in a shiny red bodysuit and bicycle helmet passed out on their living room floor. Upon coming to, the man introduces himself as Zonad, a traveler from outer space who's fallen to Earth through a hole in the space-time continuum. At first blush, "Metropia" offers a visually fresh animated look at a near-future dystopia, but the film ultimately disappoints, ending up almost as drab and lifeless as the world in which its characters live. Roger (voiced by Vincent Gallo) is a telemarketer who lives with his girlfriend and breaks the law every day by bicycling to work. He soon begins hearing voices in his head, ultimately managing to write down the address the voice gives one day while ordering a pizza for delivery. Soon Roger finds himself on the trail of a mind-control plot, with the daughter of a powerful industrialist, Anna, (voiced by Juliette Lewis) acting as guide and seductress, winding up at the heart of yet another plot to overthrow the New World Order. This taut, well-crafted three-person drama is about a wealthy young woman held for ransom who discovers that one of her captors is someone very close to her. As the drama unfolds, and the players are revealed, we find the characters in an nontraditional love triangle that has each corner suspicious of the other two. Writer-director J Blakeson does an impressive job of throwing you right into the action, trusting his audience to be smart enough to catch up. 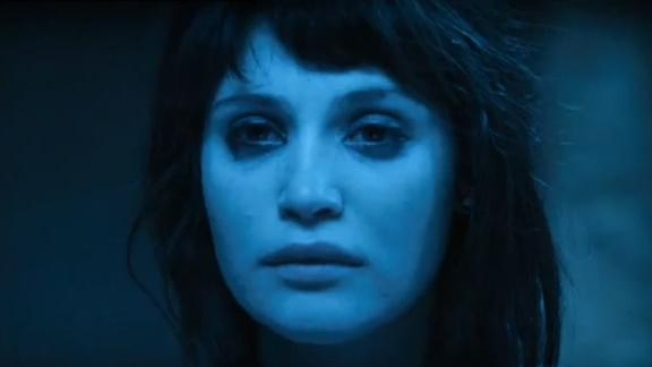 Gemma Arterton gives a nice performance in the title role, no doubt a pleasant respite from the swords-and-sandals nonsense she's been subjecting herself to of late. Her Alice is by turns terrified, outraged, tearful and crafty once she gets her bearings.